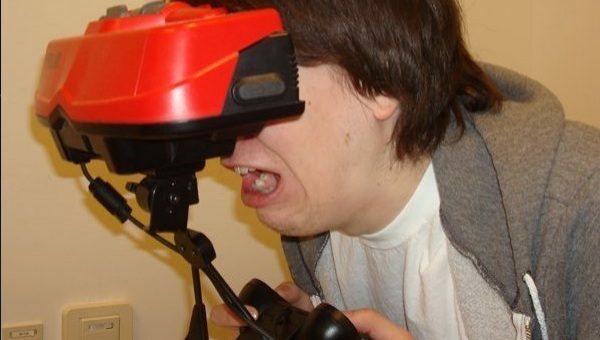 If there’s one thing that can be said about the video game industry, its that with each passing generation the experience is always bigger and better. With buzzwords like “graphical leap” being thrown around as the norm these days, its easy to see why a game’s audio, and most importantly music, plays second fiddle to visuals. And I get it, because every single day video game graphics are getting better and better. It’s only natural because as humans it’s all about visual stimulation; but believe it or not it’s actually the music and sounds you hear during the most memorable video game moments that will make you remember them even more. The thing about music, in general, is that it has the uncanny ability to bring you back to a time or place when you heard it first. The unique ability to tie itself to a memory. Not to sound cheesy but there’s a reason why people call it a soundtrack to their lives. And the same can be said about video game music. 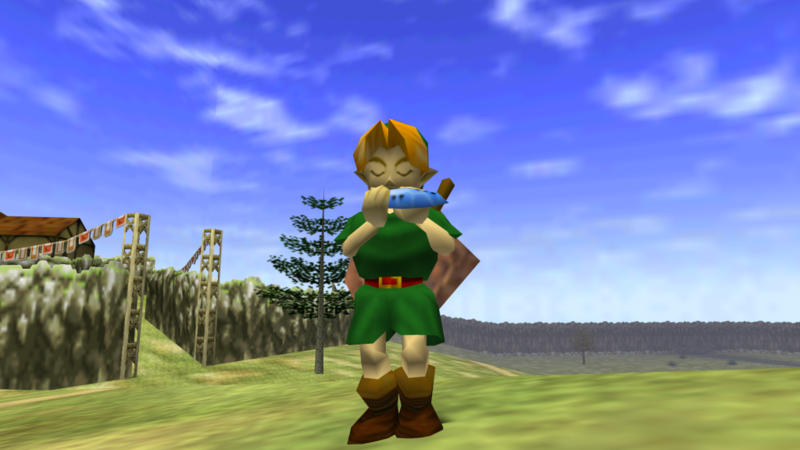 There are those memorable songs that will always hold a special place in our gamer hearts. Like the first time we heard the original Mario Bros. theme song or the heroic melody from the Legend of Zelda. Just like the trumpet fanfare at the beginning of every Star Wars flick, these are the kinds of tunes that making a lifelong lasting impression. As games have grown more and more so have their budgets. 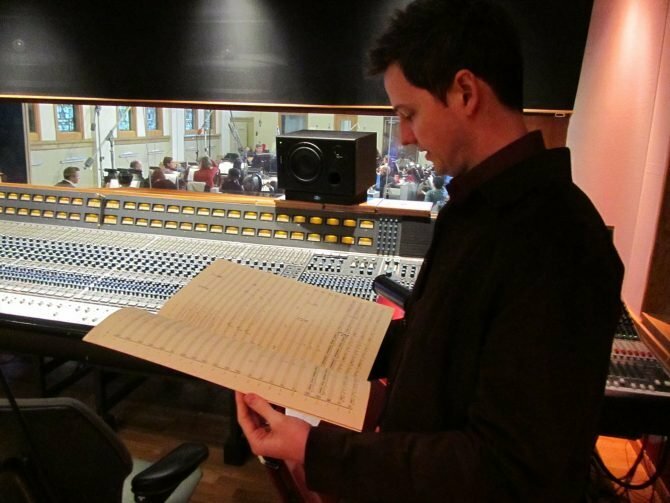 Having a score arranged by a well known composer is not just becoming standard protocol it’s expected of any big budget AAA title released these days. Hollywood directors aren’t the only ones trying to grab a piece of the video game money pie. Now what I’m about to say is going to piss some people off but it’s not my intention. This is something I think that can improve music in games, in general. Games, like movies, need to start bringing in music from recording artists. This is what should be next. Blasphemy, I know. Do I think that games have incredible musical scores these days? Absolutely. I’ve actually been finding myself humming the Skyrim theme for what seems like every day. In my opinion, this generation contains some of the most memorable game music of all time. But do I also think that well known artists and songs can enhance these experiences? You bet. Developing for the musically inclined. Some developers have already adopted the use of modern day or more widely recognized songs and artists to set the tone for a particular scene. Rockstar Games is a developer that acts a standout in that respect. 2010’s Red Dead Redemption featured a track by indie-folk singer Jose Gonzalez. “Far Away” is song that plays at the point of the game where the protagonist you play as (John Marston) finally makes it into the unknown lands of Mexico. In this case, the song was specifically written for the game, but the way it helped piece together that moment in particular is what made it so special. The developers at 2K Games did something similar with Mafia II. While the title had an open world feeling, it was still very much set on a linear path. But what the game’s creators did to keep things interesting was that they used music to help build atmosphere. In the case of Mafia II, even though it takes place in an “anywhere USA metropolis”, the soundtrack was made of songs from the time period in real life. By featuring artists like Buddy Holly, Frankie Lymon & The Teenagers, and Bing Crosby, 2K was able to transport players to a different time. Say what you will about the game but you can’t knock what they pulled off; it felt like you were in a mobster movie from the 1940’s and 50’s. In other words, exactly how it should. No one trailer should have all this power. Some games are already using more popular music in their marketing campaigns. Activison has the hots for Eminem; they’ve used the Detroit rapper’s tracks in every one of their Call of Duty trailers since the release Modern Warfare 2 in 2009. 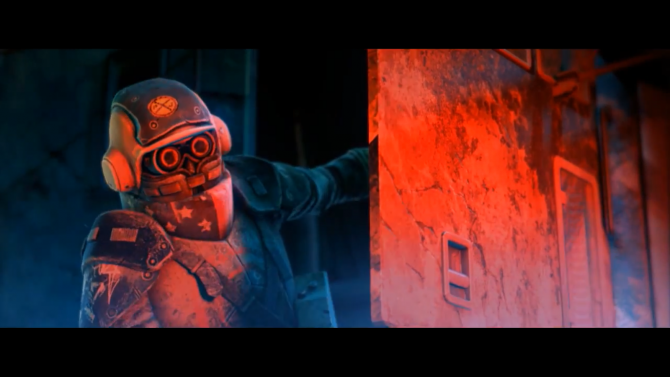 This year EA, who offered a “modern” shooter alternative in Battlefield 3, opted for Brooklyn music mogul Jay-Z and his “99 Problems” to set the tone for their big game’s release. If it’s ok to use this kind of music for trailers, why aren’t we seeing more of it translated into the actual games? I’m sure it’s the fault of the greedy music publishers, but isn’t it just common sense that exposing their songs to a wider audience will in-turn sell more songs? These music publishers need to look no further than the music boom that artists were experiencing after their tracks were included in games like Guitar Hero and Rock Band. Of course, when you’re using licensed music, there’s always a chance of double dipping or over saturation. Remember the Microsoft conference at this years E3? After I heard “Power” by Kanye West blasting through the speakers at the Galen Center in what seemed like consecutive trailers, I thought it was a joke. Surely enough after Giant Bomb’s Jeff Gerstman tweeted “NO ONE TRAILER SHOULD HAVE ALL THIS POWER”, it quickly turned into an internet meme thereafter. So there’s definitely a downside to it and moderation should be at the utmost importance whenever well known songs are used. Now if game companies don’t want to get involved with the shady music industry one thing they can start doing is completely circumventing the record labels and go straight to the artists; spend money to hire some A-list talent to help create their original music. This is something Square Enix pulled off with Final Fantasy XIII, and if you ask around it seemed like a success. “My Hands” performed by recording artist Leona Lewis had the ability to make grown men cry. That should say enough. But if we’re not going to get licensed music, we need to see more of these kinds of collaborations like this make their way into the games that we play. Movies get music inspired by films, yet gaming is now a bigger industry and it rarely, if ever gets any of that kind of love, what’s wrong with this picture? Our video games need more Kanye! Ok, maybe not him, but you get the idea. 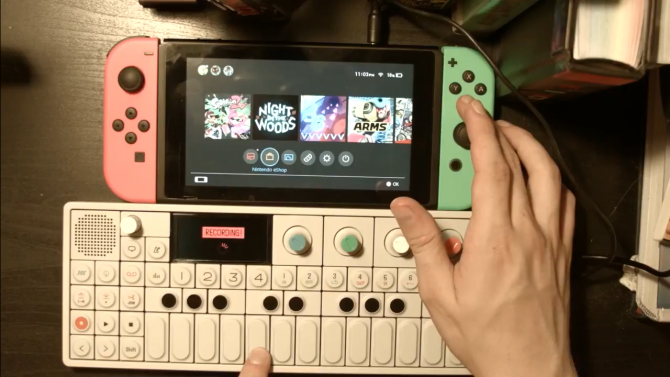 Either way this is what should be next for video game music. If its not too late but maybe we should petition to swap out Charice in favor of Taylor Swift for the Final Fantasy XIII-2 soundtrack? Discuss. Time to throw away your Donkey Konga bongos-- YouTuber Reagan Burke has created a song using only the Nintendo Switch's sounds.